Nothing is better than bringing friends and family around the dinner table to enjoy a home cooked meal paired with good wine and good company during the holiday season. But the holidays can be stressful! If your stuffing seems dry, pour some chicken broth flavored with a splash of wine. Guarnashelli likes Woodbridge by Robert Mondavi’s Red Blend or Chardonnay to give it richness and flavor. The Woodbridge by Robert Mondavi Cabernet Sauvignon gives twist on classic caramel. The wine has notes of chocolate and toasted marshmallow. 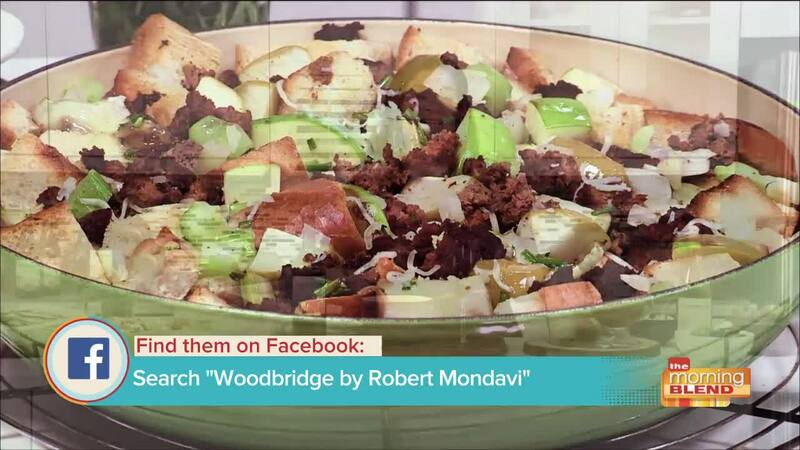 For more tips and her favorite recipes, including her Vegetable Lasagna, follow Woodbridge by Robert Mondavi on Facebook! And checkout the product locator on WoodbridgeWines.com to find retailers near you.